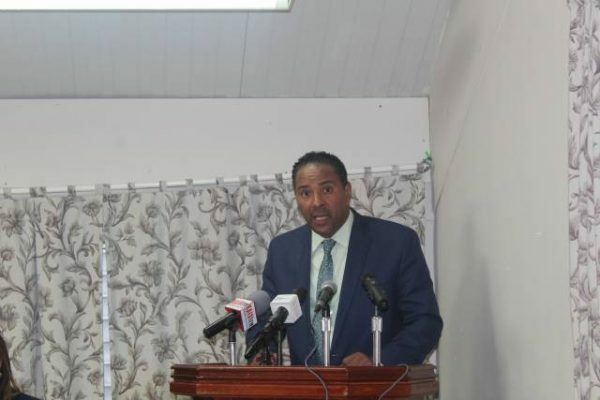 Minister for Health and Social Services, Honorable Dr. Kenneth Darroux has advised the Dominica Nurses Association (DNA) to be mindful of the objectives of their leader. Dr. Darroux made these comments in relation to several days of protest action staged by the DNA in late March led by President of the Association, Rosie Felix. The association indicated that the protest action was a means of getting answers to various questions from the DNA, which were presented via a letter to the Ministry of Health and Social Services. “I’ve spoken to the nurses that they need to be very careful where they allow the leadership of the Dominica Nurses Association to lead them to,” he remarked. During the protest, Nurse Felix informed Dominica Vibes that the DNA’s decision to take such action was in effort to acquire standard treatment and an adjustment in the Health Care Sector. In response, Dr. Kenneth Darroux implied that the members of the DNA should exercise caution as the protest may be in turn do more harm than good. “The nurses association is just a professional organization, they are not a trade union or bargaining body. And they also need to question the motives of the leadership of the Dominica Nurses Association because you’re concerned about the numbers. You concerned about the nursing situation and nurses patient bed side ratio. You are a registered nurse and midwife who resigned your job, prematurely, you were part of the training at the Dominica State College where I think you would have had a serious say and influence in the quantum and quality of nurses that are being trained. You left it prematurely, God knows to do what and the only opportunity you could find to gown your uniform and come out on the streets is to try to lead the nurses astray” Darroux said, addressing the president of the Dominica Nurses Association, Rosie Felix.